Click the button below to add the Psoriasis Soften Scalp Vinegar Rinse Cleanser #Psoriasis Scalp Vinegar Rinse Cleanser# to your wish list. Residue from hair care products, minerals in your water, or other dirt and debris can be left behind and begin to build up on your scalp. This buildup can form a barrier that sits on top of your scalp, pores and follicles and may lead to hair and scalp issues such as itching, flaking, oiliness or fungus. I got and tried this scalp cleanser yesterday and I am amazed. Of all the products I tried for my psoriasis, this is by far the best! Only from one use most of my itching is gone and I have less scales! Just from one time! I left it on for about 5 minutes before rinsing out. On top my hair is super soft! I was not expecting this to be so good. Will add this to my hair care routine to keep my psoriasis in check. This vinegar rinse cleanser should be the first product to use when you have scalp problems as it deep cleanses toxins away from follicles and the scalp. Free of residue and toxins, your hair will feel and become healthier as it starts to breathe and rejuvenate itself. It restores manageability, luster, and volume to hair and brightens color and shine. Color safe and color enhancing as nutrients nourish follicles for hair that is restored with brighter color. Free of harsh detergents like Sodium Lauryl Sulfate or Sodium Laureth Sulfate. Gentle, safe and non-irritating formula. 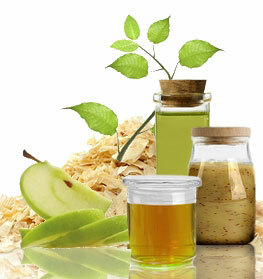 Apple Cider Vinegar has been used for centuries to cleanse and detox. Cucumber Extract reduces hair fall and gives hair a nutritive sheen. Allow it to be absorbed for a few minutes, then rinse with warm water. • This should be the first product to use when you have scalp problems as it deep cleanses toxins away from follicles and encourages responsive, hydrated hair. • This is also great for oily hair. This product will leave your hair soft and shiny without the greasy feel. 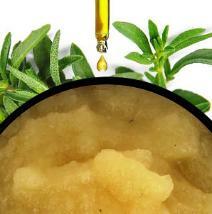 • Use this vinegar cleanser before applying oil treatments. It will allow your treatments to penetrate the scalp better and become more effective. Your rinse cleared by bad case of stress related irritated, my scalp is way clearer. I have used tons of products from coal tar based shampoos to Blue etc. but this one worked miracles. The only thing I’d say is that since it has vinegar not to leave it on for too long cause the scalp holds it and whenever you sweat during workout there is a slight vinegar odor. So use it for a bit and rinse and shampoo/condition after. It has double the benefits, not only does it maintain scalp health, I saw that it removed build up too and hair is very light and soft after. Thanks for this wonderful product, if everyone in America learns to step away from nasty chemicals (present in everything these days, including drinking water), like your company has, we can have such a clean and healthy country and a better world. Thank you. I've tried many itch relieve cream but non of them works. I am so happy I found this product, or else I would still suffer from an itchy scalp. Thanks!! I have suffered from Psoriasis all my life and have finally found how to ELIMINATE IT: prewash scalp with Vinegar rinse, followed by Psoriases Shampoo, followed by Psoriases Conditioner. I have the best results when I prewash with the Vinegar Scalp rinse. I use the Vinegar Scalp rinse to clean my SCALP, and the shampoo to wash my hair. THIS VINEGAR RINSE HAS COMPLETELY ELIMINATED MY PSORIASIS, but you need to follow up with the Psoriases Shampoo and conditioner. This is the go-to product for the Nutritive line. If you have any problems with your scalp, this product is a workhorse and will do wonders for your scalp and hair. It’s the only producer that worked to keep my scalp psoriasis in check. I have severe psoriasis on my scalp. I've been using this Apple Cider Vinegar Rinse for over 1 yr. I always leave it on my scalp for over 5 minutes. Then I use the shampoo & conditioner for psoriasis. I also use Biotin 10,000 MG a day. After 3 yrs, I can now say that my scalp does not have any scales or build up. I am so glad to have found this. I didn't want to use the steroids prescribed by my Dr. Try this and you'll be free from medicaions! major help for my hair!!!! I was having a hair crisis. I'm guessing hard water in our area from a growing neighborhood and hormone changes, I'm 44. First I prayed , then I ordered the Vinegar scalp rinse , and both the African American conditioners. I noticed a difference the first time and was excited so much I wrote a good review but the second time i did not know such an enormous difference ,my hair restored to a level I didn't think was possible so quickly. last night was the 3rd time and it's even better. I can brush my hair again without a huge struggle. Im so thankful my hair has been restored. My husband is happy for me, said it looked great. my hair is so soft. Just Nutritive by far is the best hair products I've ever used. I love the smell too. And how good of quality health wise. I'm very picky about what I put on and in my body. I was making my own product before I found this one. I could never have the time or afford to make this product it has so many amazing ingredients. I thank God I found this product so I didn't have to cut my long hair.